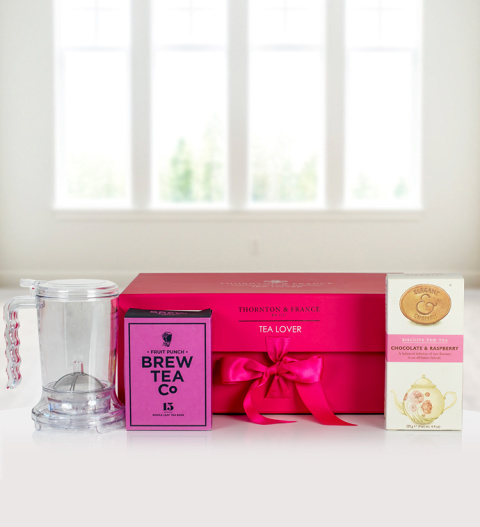 The Tea Lover, by Thornton and France, is a proper brew gift! Complete with delicious tea, a tea infuser and Elegant and English chocolate and raspberry biscuits, this is a gift that is sure to delight. Enjoy the Tea Lover, available for UK next day delivery!